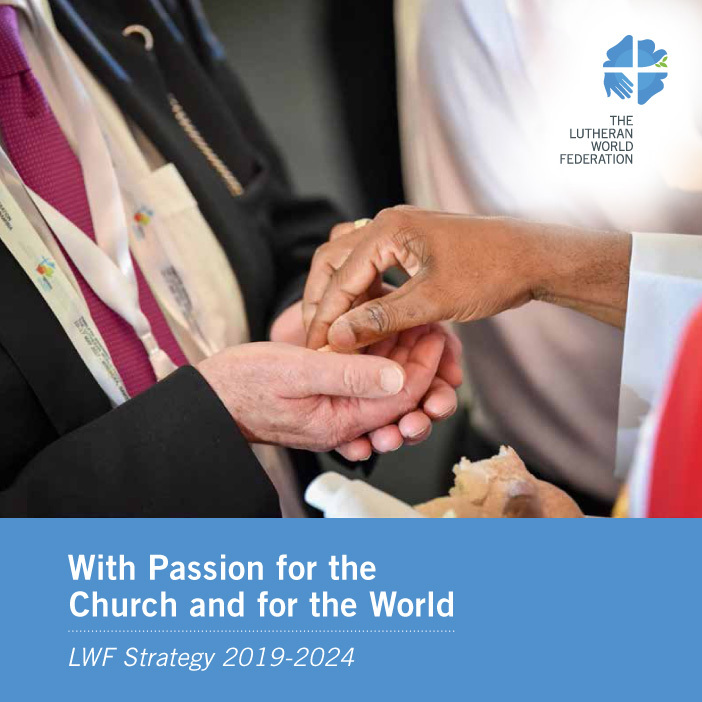 Sets forth the LWF’s strategic plan from 2019-2024 on its common journey as a communion of churches. Presents the LWF’s context and who the LWF is as a communion. Explains the LWF’s strategic priority areas and details its aims, goals and commitments in each, as well as in the areas of organizational sustainability and effectiveness. LWF General Secretary Martin Junge, and the two Assistant General Secretaries, Kaisamari Hintikka and Ojot Ojulu, introduced the new LWF strategy: "With Passion for the Church and for the World."